If you are a real estate agent looking for better photographs for your listings you have come to the right place. I can give you excellent photos quickly for your MLS listings at a very affordable price point. 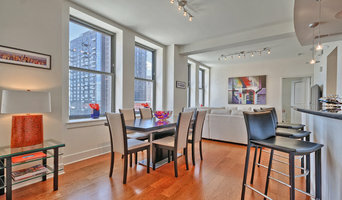 I provide photography services and floor plans with reliable square footage. Commercial photography for your business growth. From interior shots, to Architectural photography and head shots. I photograph business's business. Your end product, the one you will use to create another end product that you will use to create a bigger client base. I capture the stunning lines, light, and innovative design of Architects, contractors, designers, marketers, and pension plan gamblers. Sometimes controlling the lighting of a room, sometimes combining exposures to get the over all light and ambience of a room. Mostly I demonstrate a working and advanced knowledge of lighting, composition and design with a solid and proven work flow. My clients see a near complete version of their images with in 10 days, another 10 days for delivery for all additional edits. Pricing never varies from the original quote, and work is done when my client is satisfied. I price my work competitively, and offer a few solutions to accommodate all budgets. I enjoy what I do for a living, and the knowledge that my clients growth is my growth too. Thank you. 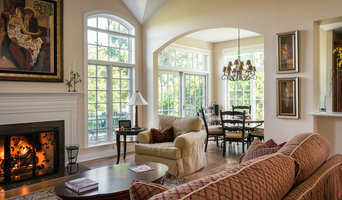 Matt Harrer Photography specializes in interior and architectural photography. "Marketing with Vision!" Being an independently owned/operated St. Louis based company, AspireMedia360 specializes in the marketing of real estate, hotels, hospitals, museums, apartment complexes, senior living communities, wineries and a wide variety of businesses in the St. Louis Metro Area! Using HDR photography combined with the latest of technology we create a custom "multi-purpose marketing tool" for massive internet exposure. Our "full motion" interactive virtual tours can be viewed around the world 24/7. AspireMedia360 now offers FAA Licensed Aerial Photography and is now a Certified Zillow Video provider. Missouri Home Tours, LLC specializes in interior and exterior photography for realtors, builders, and home owners. mstudio west offers a wide range of professional photography services. From small product shoots to large scale production, both in and out of the studio, mstudio west works with clients to reach their creative goals - always keeping it fun. Owner Matthew McFarland brings a love of architecture, interior design, graphic design, travel and the ocean to capture a wide variety of imagery. His portfolio includes almost 20 years of national ad and editorial print work and he has a successful track record working with architects, designers and builders to capture a wide range of spaces. Matthew has been surrounded by the creative world his whole life. As a child, he accompanied his interior designer mother around the country as she worked on high end design & development projects. 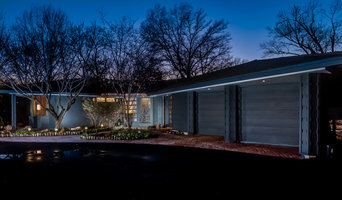 He owned a photo studio in Kansas City featured in Architectural Record and designed a personal residence that was featured in Dwell and other trade and design magazines. My partner and I started our business in 2016. We have always loved interior design and architectural so it only made sense to combine creative talents with our love of real estate. That is how S&Z Photo and Video was born! We serviced over 300 homes in our first year! Huge success! ALL Photo Packages include: High Resolution. Unlimited images. Interior and Exterior. Happy, bright, and beautiful images. FREE Mini slideshows can be made upon request. Photos will be posted to our Facebook page to 3,700 local interested home-buyers. The caption will feature a tag of your page, phone number or email, showing date, address, and specifics about your listing. Square One is your source for all real estate media. We deliver high-quality photos, video, and drone images to your inbox next day, giving you the power to quickly have your listings ready to market. Our online booking system makes scheduling your shoots easy & convenient. Interior and Exterior Architectural | Real Estate Photography + Video. Advertising, Product, Portraits, Lifestyle, Commercials, Documentaries, and Brand Videos. Jon Saucier Photography has been a prominent fixture in the St. Louis (and surrounding areas) real estate photography marketing for a number of years. Jon specializes in HDR (High Dynamic Range) photography to ensure a listing looks its best. The goal of this technique is to present an image that is similar to what the human eye sees (if not better). I have the ability to make a dark room much brighter as well as ensuring that we can see out of windows. This technique is superior to using a flash as with a flash you will see it bounce off surfaces throughout the home, which produces an unpleasing image. This is all brought to my clients for a reasonable price in a timely fashion. The aim is to present a similar range of luminance to that experienced through the human visual system. Before you call any potential photographers, make sure they have good references. Friends who've sold or rented homes before are great resources, as are local real estate agents. Look through each Missouri photographer's online portfolio to make sure what you're looking for is being offered. Once you've done that, it's a good idea to walk around your home and write down exactly how many and what types of shots you'll need. Include any specifications you might have, such as angles, things to consider about your home’s Town and Country, MO site, the time of day you think will be best and aspects of your home you want to highlight. Find a home photographer on Houzz. Narrow your search in the Professionals section of the website to Town and Country, MO photographers. You can also look through Town and Country, MO photos by style to find a room you like, then contact the professional who photographed it.